Which managers 2.0 for the enterprise ? Therefore the « model » Manager 2.0 is certainly not the model of the community manager. It is the one that you will cross most in company, the « classical » manager, it is necessary to hope that he has a posture 2.0. What would be the role of a manager 2.0 in a typical enterprise which is slowly transforming into a « collaborative enterprise » or a « network enterprise »? Let’s start from the top management, whose role is probably the one that changes the least from its traditional role. Indeed, employees generally do not expect the same thing from their n +1 as from the top management. Finally, we often expect from it to be able to give a vision or carrying a strategy that makes sense and that is declinable in operational objectives in the other levels of the company. This does not prevent, on the contrary, that it uses feedbacks from other middle managers and gives them more autonomy (it means freedom and resources) to succeed in reaching their objectives (we return to notion of accountability which is link to this autonomy). In fact, the top management should be more focused on the meaning, and the results than on the micro-management of teams. Moreover, this « transfert » of the vision, where the feedback of employees can be done directly, as seen in some companies through the blog of the CEO, or more widely through an enterprise social network. There is no question of cutting itself from its teams both on the relational plan and informative plan. While expect from this manager « new generation »? Maybe first of all that he establishes trust in his teams. This means that free expression and exchange, which in a second step will lead to a participative management (collective discussion by the whole team and at the end more engagement). Obviously if manager’s role is only designed in a relationship of power and hierarchy, this stage seems inaccessible. It is more a role of facilitator whom the manager is going to play. Indeed, in any human group there are sometimes tensions, things to be solved, and he is the one who is above the scrum and can help to advance things. 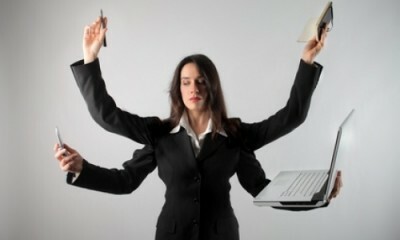 If the management is participative, we can suppose also that the level of delegation to the everyday life is important. Indeed, the manager is there to make his team grow and reach results. It is therefore a question of leading his employees in the desired direction by the company and of giving to them the means of their autonomy so that they can grow individually but also collectively. It means being there to support, give advice or help remotly if necessary. At the end, be more or less present according to the degree of autonomy reached by the employees. But especially more than the distribution of task to be made, he develops the will of his teams to work in a collaborative way and gives the means to work collaboratively (know and be capable of). Actually his performance is primarily the one of his team. He is more the one who makes do than the one who does (what does not mean that he takes one’s finger out during this time). The time which its release allows him to make his team grow, to think to give meaning to the action and especially distinguish the priorities to rank them (important / urgent). He is going to be finally a promoter. It is him who is going to make the link with the n+1 or n+2 to promote the work of his team, help them to value ​​personal and collective achievements of his team. You are going to tell me that this is nothing new, indeed, as collaboration or communities (we did not wait for that the Web 2.0, but it simplifies things oddly). It is just that one have lost the recipe along the way. And this simple actions lead to another kind of culture more participative and collaborative. And the culture is more important than a tool like an enterprise social network to create collaborative behavior and then the collaborative tool will be a support. Quels managers 2.0 pour l’entreprise ? Management 2.0 = self management ? Ce contenu a été publié dans management 2.0, Post in english par Anthony Poncier, et marqué avec community manager, leadership, management, management 2.0, middle management, top management. Mettez-le en favori avec son permalien.